To the followers of my blog who were kind enough to take the time last weekend to tell me how much they enjoyed reading the posts I offer my humble thanks. Any feedback is always very welcome and helpful, particularly on first starting out as a blogger. But positive feedback is absolutely wonderful! If you would like to comment or leave feedback again there is a place right at the bottom of each post where you can post a comment. I would love to hear your thoughts on other posts, as well as your experiences as a result of what you have read here. I met a friend outside the bank yesterday who after exchanging the “it is sooo cold” comments, told me that she had been told that apparently yesterday morning was the last really cold morning we were going to have here in Melbourne this year. Given that the meteorologists from the Bureau don’t often seem to be able to get the forecasts right, I don’t feel terribly inclined to believe such a wild and sweeping prediction. Although who knows, perhaps this person has extraordinary physic powers that focus on the weather. Perhaps it was significant that we had that conversation yesterday as the second of August is Imbolc here in the Southern latitudes. Imbolc is a festival celebrating the approaching Spring and the return of the light. It coincides with the first stirrings of Spring. Here in Melbourne early spring bulbs are busily flowering and the wattles have been dressed in a blaze of gold for weeks now. But it’s easy to imagine how significant the sight of a tuft of green glimpsed on this day would be to someone who’d been snowbound for months. 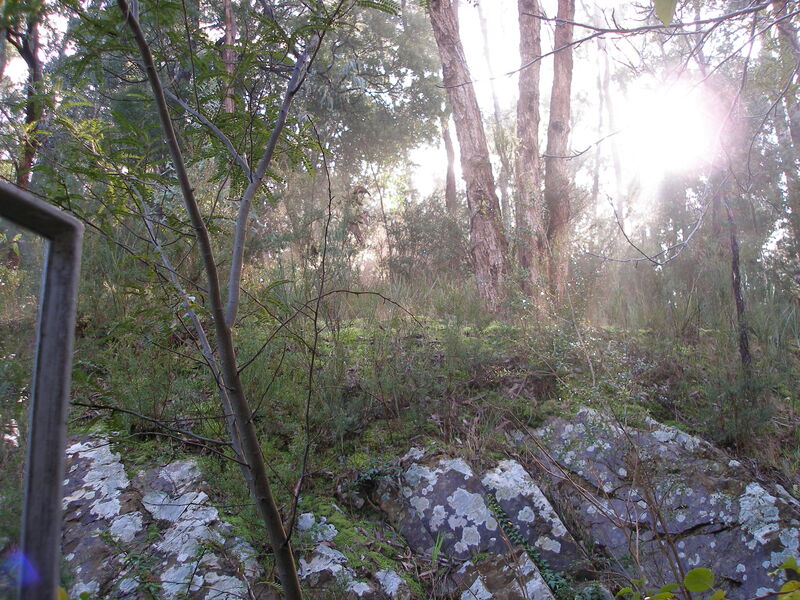 In fact even in Melbourne we often feel a bit low by the time Imbolc arrives, lacking energy and eating and sleeping more. In spite of spring beauties in the garden, and in spite of seeing the seasons have begun to change I’m still feeling the effects of winter. I am still cold! The garden is still too cold and wet to get started on spring planting, and the air is too wet to start on spring refurbishments around the house. Spring has really not yet managed to get a toehold on the side of winter. In the interests of getting us over the mark into “real spring” here are some uplifting and reviving ideas to carry us the extra yard. Foot baths were once seen as something for old ladies with sore feet. But a few years ago I discovered just how nice it is to sit with my feet in hot water, while I read and sipped tea. Now never, ever regret it when I manage to indulge in this way. Also, soaking in a bath, even a foot bath, is a great way to gain the health benefits of essential oils or Himalayan salts. Our home lacks the luxury of any bath that allows more stretch than “knees around the ears” so foot baths are the alternative. I managed to pick an electric one up on e-Bay for $1. But you can use any nice big bowl instead. In fact I rarely plug mine in, as the oils or salts do their job perfectly well in the still water. Soaking in a Himalayan salt foot bath is soothing for your feet, so it’s great after a long day, and also very revitalizing. Essential Oils have wonderful healing effects and can be added to your foot bath to deal with all sorts of winter problems. Just be careful to check the actual oil you choose before using them as some are contra-indicated for various diseases and others can be irritating if they come into contact with the skin. According to reflexology philosophy our whole body is mirrored in our feet, so anything we do to nurture them is also going to nurture our whole body. 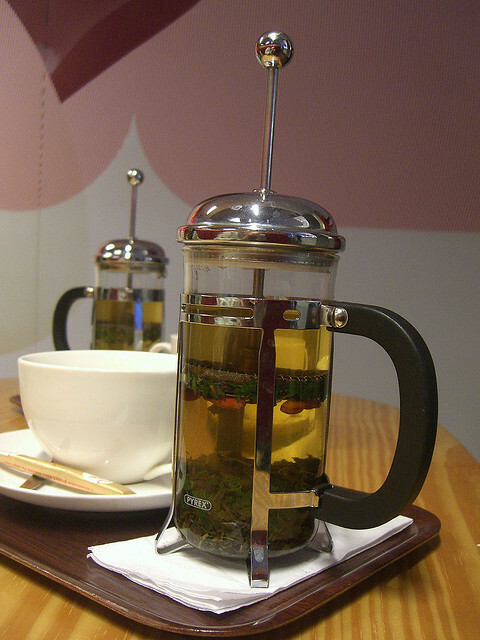 Warming Winter Herbal teas are a great way to get a winter lift. This excellent page links to 52 different herbal tea recipes. There is a huge range of choice to suit every taste, and many are made from ingredients that you probably have in your kitchen cupboard. Like the essential oils, many are specific to winter ailments. Also, you could easily mix a few up for a yummy brew. Herbal teas are the easiest way to get the benefits of herbal healing wisdom that has been around for thousands of years. Although there are many ready-made versions of the teas it’s great to tailor make them to fit your needs from fresh ingredients. ∞ Put on some uplifting music, especially good if you can dance to it. Music accesses your emotions directly and can be a really quick mood booster. ∞ Call your best friend and perhaps even meet up for a cuppa. It’s tempting to hibernate in winter but socialising gives a great sense of belonging and makes you feel appreciated. Make sure to keep the conversation light! ∞ Get moving especially if you’re sitting at a desk all day, even if it is just for a few minutes. Exercise releases endorphins, adrenaline, serotonin and dopamine and with all those dancing around inside you’re sure to feel livelier. ∞ Don’t forget to laugh. Laughter clubs are everywhere. A good laugh send you straight into a relaxed state. It lowers your blood pressure and also stimulates endorphins. Remember how good you feel after you hear a good joke? Of course you don’t need to join a club, a funny movie, a joke on facebook are all good. Cook up a big pot of yummy warming winter soup this weekend. I found this interesting variation on traditional Potato and Leek soup. This chef catered a party for me once and his food was delicious. If you have a slow cooker put on a nourishing casserole for dinner. You can load it up with root vegetables full of nutrients for a great health boost. Find yourself a great book in which you can get immersed. By the time you finish it and raise your head you’ll find that spring has sprung. Too often we save up the great books for holidays and forget to enjoy the relaxation and pleasure they bring throughout the rest of the year. Turn off the TV, close the computer, and instead grab a cosy rug, a warm tea and curl up for a couple of hours blissful reading…for pleasure, not for work. I’m not about to pack away my winter woolies for a long time yet, in spite of the positive forecast of that friend-of-a-friend. But I am going to look for the parts of winter for which I’m grateful. There’s the crispness of the air, the beauty of the fog hanging low over the river in the morning, the awesome heater I have in my house, the chance to wear my great collection of beautiful boots, and the reassurance that the wheel of life continues rolling along. 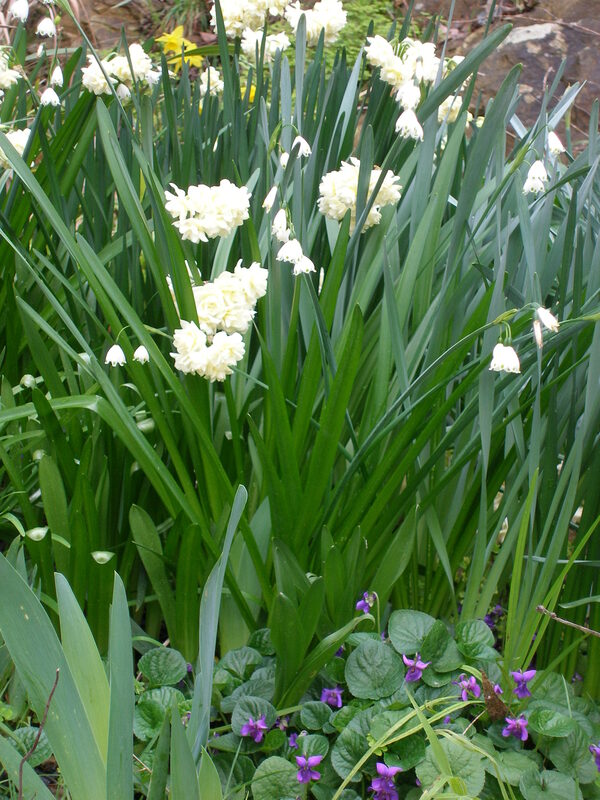 But right now I’m off outside to pick some of the gorgeously scented and very aptly named “Erlicheer” jonquils to bring into the house to lift my winter spirits and remind me that Spring really is in fact, just around the corner. In my room at work there is a small board on which there is a labyrinth constructed from tiny white pebbles. Beside it there is a small sign saying “Finger Labyrinth, use your fingers to walk me”. Some do, particularly the children, but most people don’t have the time. 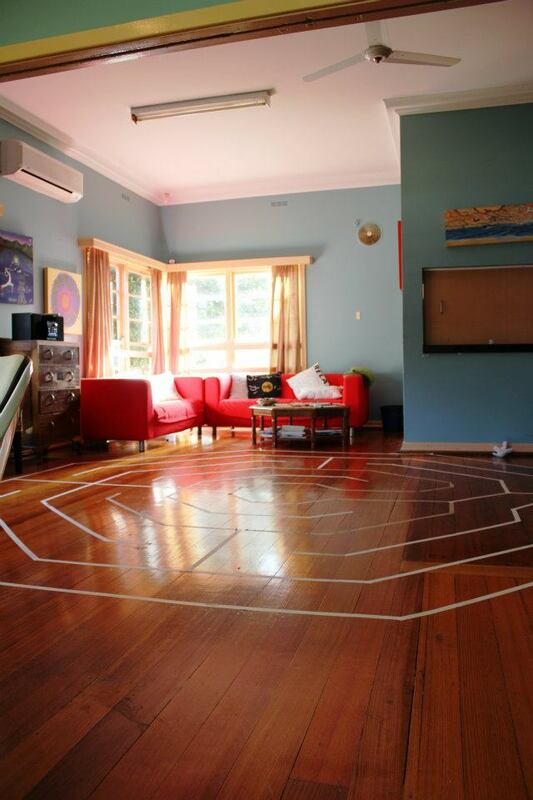 Labyrinths are rapidly making a welcome return to our lives and many full-size walking labyrinths are now being built. They are currently being used by many people across the world as a means to find inner balance. They allow the mind to quiet, and invite insight through meditation. 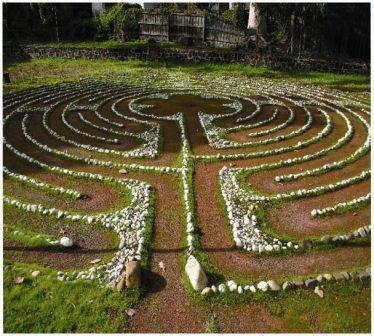 Simply walking the labyrinth is a wonderful way to develop mindfulness and find inner knowing. Labyrinths are ancient symbols that have been used for thousands of years by many different cultures across the globe. Their sacred spiral design is a very powerful self-alignment tool that brings perspective into our lives. The geometric form speaks to the right brain, unlike mazes which require the left brain. Mazes are puzzles which have dead ends and lots of twists and turns in many directions. Labyrinths have only one path that leads right into the centre with no tricky turns or blind alleys. The maze needs logical planned thinking to solve, whereas the labyrinth requires a more passive approach, with the only decision being whether to start or not. By shifting from the left to the right brain your consciousness moves into a more receptive state that allows you to receive insights. The labyrinth walk can be broken into three stages. At the entrance you can pause, focus and set an intention for your walk. Take slow, deliberate steps and use the walk into the centre of the labyrinth as an opportunity to clear and centre your mind, to let go of worries and obligations and to surrender to the process of being fully present in your body in the moment. Pause when you reach the centre and take time for reflection, meditation or prayer, time to allow the divine into your life, and a realization of your own sacred inner space. 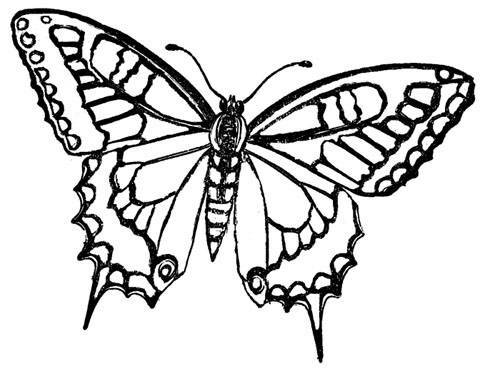 The walk back out from the centre provides the space for integration of your insights and prepares you to return to your life ready to make transformational changes, ready to take action. Every walk is unique and you can expect to receive something different every time you walk the labyrinth. Sometimes it may simply be a nice walk while on other occasions it may be the revelation of some deep insight and understanding. Other times it may provide the answer to your question, or release of a worry, concern or grief you have been holding. Labyrinths present us with a reflection of our life pathway. We are all on a path, even if sometimes it seems pretty overgrown, and at others we have no idea where it may be leading us. In some ways the labyrinth is simply a metaphor for our own journey into our centre, our deepest self, and then our return back out into the world. Like the characters of ancient myths and legends, who needed to go down into the darkness in order to overcome their adversary or fear, before returning triumphant with a deeper understanding of themselves, we too can use the labyrinth as a means of going deep within to broaden our understanding and acceptance of who we are. Labyrinths are transformational spiritual tools and walking them needs to be a practice that is integrated into your life and not done just once. If you would like to experience for yourself the power of the labyrinththere are many that you can try. Some are privately owned and require prior arrangement for their use, but there are quite a number that are open to use at any time. This list is not complete so keep your eye open for others. For the last few days I have had a very earthy food at the front of my mind- potatoes, ever since I traced a weird kitchen smell to an old onion in the back corner of the basket of root vegetables that sits in the bottom of the pantry. While I was searching for it I also found a decent number of potatoes that had put out nice healthy strong roots from their eyes, so past their best eating days. 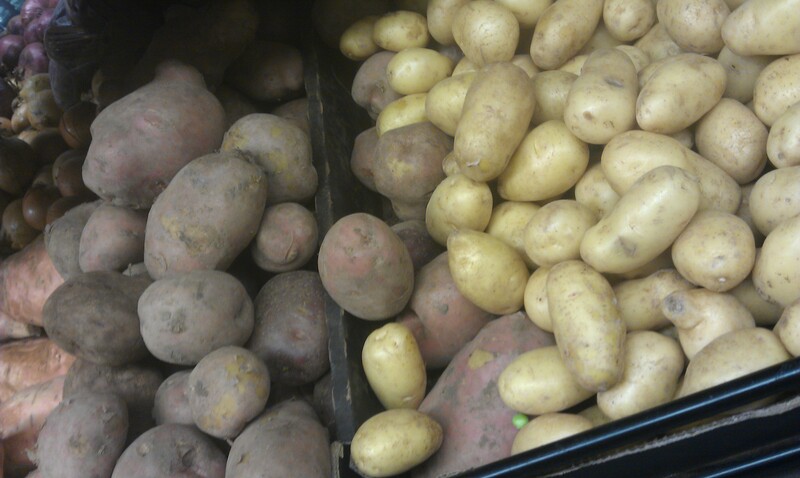 Now, these weren’t any old potatoes, they were all organic, and of a few different varieties. These days I try to incorporate as much organic food into our diet as I can, but like most of us, am constrained by things like the cost and availability. But I have been gradually making the switch from normal produce over to organic fruit and veges for a long time now and potatoes are one vegetable that I now always buy organic. Root vegetables were one of the types that I started to change fairly early on as I figured that they were sitting surrounded by soil that was full of chemicals for all their growing life so maybe that meant they carried more of the pesticides. Now however, I am aware that potatoes, along with various other vegetables like carrots (another of those root vegetables) and celery, is one of the “Dirty Dozen™” – the produce that is deemed to have the highest levels of residual pesticides. The Dirty Dozen™ is a list that is produced each year by the Environmental Working Group (EWG), and while it is compiled in the USA and relates to USA produce I have no doubts that it is also a reflection of commercial farming practices here in Australia. I have just finished reading the excellent “Botany Of Desire” by Michael Pollan in which he examines the notion that plants use man to further their own survival just as much as man uses plants. He does this by telling the story of four different plant species that have benefited by our desire for what they offer, namely, the apple for sweetness, the tulip for beauty, cannabis for intoxication and the potato for control. I found it an enthralling read. The potato has come a long way from its early existence on the slopes of the Andes of South America. In recent times it has been targeted for Genetic Modification and Monsanto produces genetically modified strains that have been widely grown for many decades. Pollan decided to plant some of Monsanto’s GM potatoes alongside ‘normal’ potatoes in his own garden and then to compare the differences bewteen the two types over the same season. His research took him into organizations such as Monsanto, the FDA, the EPA, and the Union of Concerned Scientists. It also allowed hin to visit three Idaho farms (Idaho is an area of arid scrubby desert where farming is only possible with the aid of irrigation).Two of the farms he visited were growing a mix of Genetically Modified and normal commercially grown potatoes and one farm was organic. The comparisons were striking. Now I have a real problem with eating any GMO foods and do not consume them knowingly. My preference would be first organic, then commercially grown and last GM. What absolutely horrified me though, as I was reading about the potato in Pollans’ book, was the extent of the fertilizer and pesticide regime that the farmer outlined as the normal program he uses on the commercially farmed crop. The spraying program is huge. It begins in early spring with a soil fumigant and followed throughout the growing season with pesticides, herbicides and fertilizers both sprayed and introduced through the irrigating water. But two of the practices that the farmer mentioned he would not change were really concerning. The first was that from mid summer the crop needs to be sprayed every two weeks with an organophosphate called Monitor to prevent a virus that causes small brown spots appearing on the tuber. The spots are purely cosmetic, but the Fast Food Companies are far and away the largest buyers of all potatoes grown and they don’t want brown spots on their long, golden, perfect fries, so the crops need to be sprayed. Monitor is deadly, in fact it is so toxic that the farmer and his staff will not enter the field for any purpose for five days after the spraying. This is an arid, irrigated area and even if the irrigation system breaks down he will not go into the field… he would rather lose the whole crop than risk contact with this deadly chemical. Not all potato varieties are susceptible to the virus and so not all are sprayed with Monitor, but this is an example of the extreme danger associated with chemicals that are widely and routinely used both in potato and other food crop production. The other telling practice that Pollan reports was that in the farmers domestic garden where he grew the food for the family’s own consumption, many of the plants, including the potatoes, were grown organically, and he admitted that when they purchased any commercially grown vegetables from the market they ‘wash and wash and wash’ them before eating them. Pollan makes the interesting observation that organic farming is much more than simply substituting good for bad. ‘The organic farmer’s focus is on the process rather than on the product’. This process is built on maintaining balance and harmony with the environment. Having read the details of the strength of the chemicals used in farming potatoes as well as the huge extent of the program, I now have a firm resolve to avoid anything but organic potatoes. I have gone from an ‘it’s a good thing to eat organic potatoes’ to ‘I definitely will eat only organic potatoes both at home and when I am eating out’ attitude thanks to this book. This will be better for all my family. The EWC has just released the 2012 Shopper’s Guide to Pesticides in Produce™ in the last few weeks and it is well worth taking a look to see for yourself just which foods belong in the ‘Dirty Dozen Plus™’ this year and which ones are in the ‘Clean 15™’. If like me you like to include as much organic foods in the family diet as possible but cannot manage to go totally organic then this might help you decide where to make the best changes to build your family’s better health. And as for the potatoes I planted, I needed to get them into the ground very quickly in between rain bursts, so I did not actually do any of the soil preparation that I normally would do before planting at all. In fact, I simply popped them into slots I dug in the middle of a weedy slope of heavy clay soil. New growth on potatoes can be quickly and easily decimated by winter frosts but hopefully the new growth on these plants will be nicely protected from the frosts that roll down our hillside through July by all the weeds that I left in the ground above them, and come spring the luxuriant growth of the potato plants will in turn smother those very same weeds. And as a bonus the potatoes should break up that heavy soil sufficiently for me to follow them later with another different but fussier crop. I will keep you posted. Hi there, and welcome. Thanks for dropping by my blog. There are already so many blogs to follow about leading a healthy life and here you are on another one. Many blogs focus on a particular part of good health practices such as foods, fitness, stress or yoga and examine this in minute detail. But my experience and personal interest refuses to allow me to focus on one factor alone. My interests are wide-ranging and eclectic, I use one line of enquiry as a springboard to the next intriguing idea which then leads me on to another, rather like a small bird landing in a wild and abundant garden of flowers, hopping with great excitment and enthusiasm from one bush to the next. This experience has taught me that it is only by investigating and applying a wide-ranging and eclectic blend do we achieve any great lasting benefit to our life. I work as a Complementary Medicine Practitioner, and have for over twelve years advised and prescribed within the boundaries set by professional body guidelines. But I am always aware that while what I do offers great help to many people I also know that it is only part of the picture. So on these pages I hope to share with you thoughts, observations and experiences which I hope may broaden your health experience as they have mine. Chronic illness and stress have blown out in our society and I believe they are an indicator of our fundamental level of widespread un-wellness. I intend to wander through and examine all sorts of things going on in the world today that might be contributing to this state of being. This will be undertaken with respect as we are all living the way we each need to and your way is different to mine. But, sometimes it is worth jumping to another path that is running alongside our own. This is something I have done on occasion with good results as it is these small changes and noticeings that can suddenly free things up so they start to flow, just like moving one log in a log jam. It is my intention that this space will be the catalyst you need to facilitate a gentler flow. This blog is a pathway of exploration, on the quest for the happy healthy life, and I warn you in true eclectic style to expect both the fundamental and the metaphysical with everything in between. Let the journey to a happy healthy life flow gently into your life by clicking to orange button in the right hand column to follow this blog and receive notifications of new posts by email.